I'm sure I have so I'm also sure that it comes as no surprise that I read this story. Now, what some of you may not know is that of all her series 'Timing' is probably my least favorite, don't get me wrong I'm not saying I don't like it as a matter of fact I loved the first book. Book 2, After the Sunset not quite so much it was ok but if I had to re-read a series by Ms. Calmes 'Timing' would not be my first choice. After having said all that I just need to add "Holy hell, I LOVED THIS STORY!!! It was awesome, it melted my heart...no scratch that it melted me from head to toe. I love, love, love add a few more loves in here for me please...love Glenn Holloway (he's Rand's step-brother, half-brother...he's Rand's brother) He's awesome." I don't really remember much if anything about Glenn from the first two books (please keep in mind that I only read this series once a long time ago) so while he's related to Rand, he's basically a new character for me. I do remember Mac Gentry from the earlier books. He wasn't there a lot but he did show up and yet I didn't see him being the other MC in this story at all...nope, nope, nope Ms. Calmes totally took me by surprise on this one. Glenn's basically estranged from his family. As for whose to blame for this well let's just say there's plenty of blame to go around so it was definitely a group effort with Glenn and his internal rage doing the maintenance work on the estrangement. Thankfully we have Stefan Josh doing his thing and forcing people to sort out their baggage. Truthfully my one and only issue with this story is that it was too short. I needed more Glenn and Mac time. More after becoming a couple time. I would certainly be on board for another book featuring Glen and Mac with a strong dose of Stefan Josh and Rand. While this story was complete at the same time I was left feeling like there could be so much more added to it and I really, really vote yes for the adding to it option. 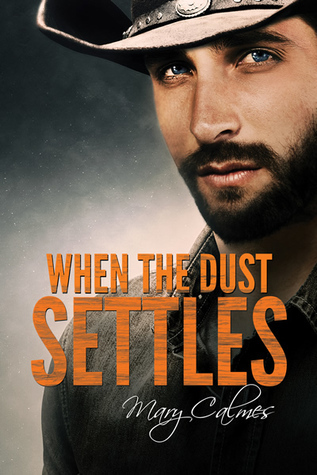 'After the Dust Settles' was classic Mary Calmes as only she can do and I loved it. Without fail I smiled from start to finish because I knew that at the end of it all I would get the HEA that I can depend on her stories to give me and while this may not be my favorite Mary Calmes series I can honestly say that I'm hoping for more. 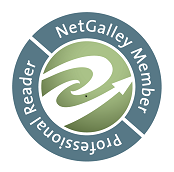 An ARC of "When the Dust Settles" was graciously provided by the publisher in exchange for an honest review.